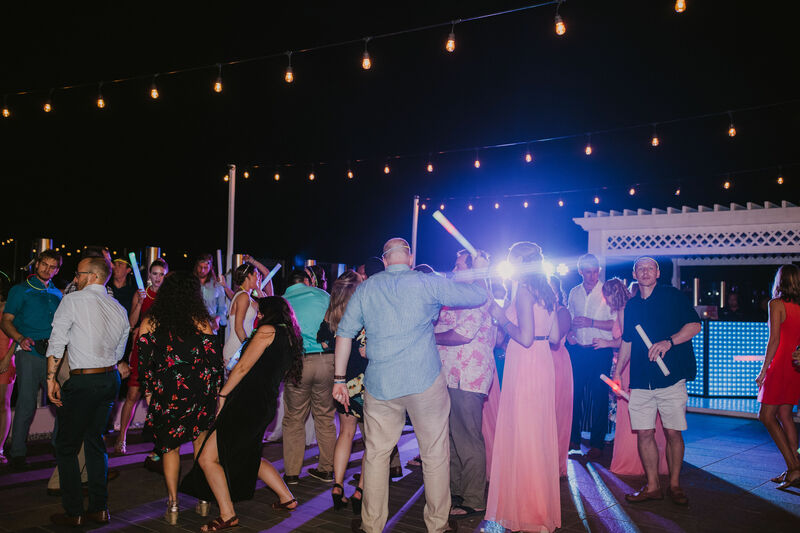 How is it that you can hear “Shout” by the The Isley Brothers at every single wedding and still excitedly hit the dance floor whenever it comes on? 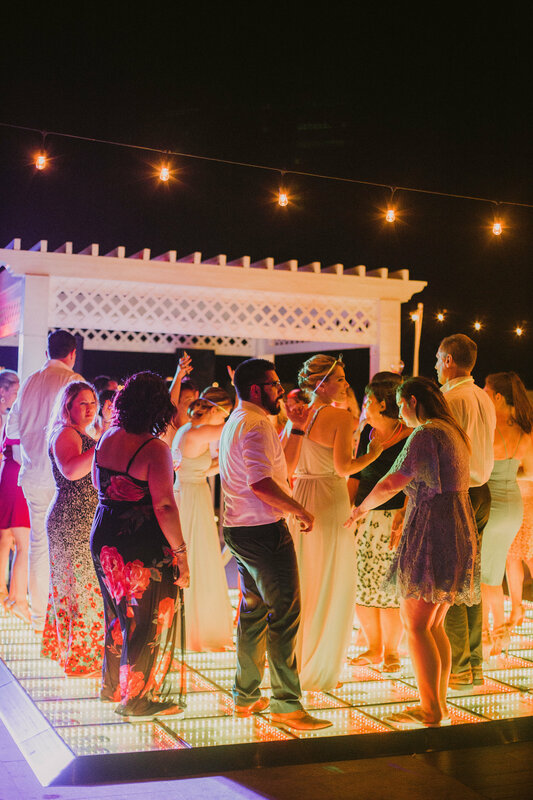 It’s because wedding receptions are simply the best! 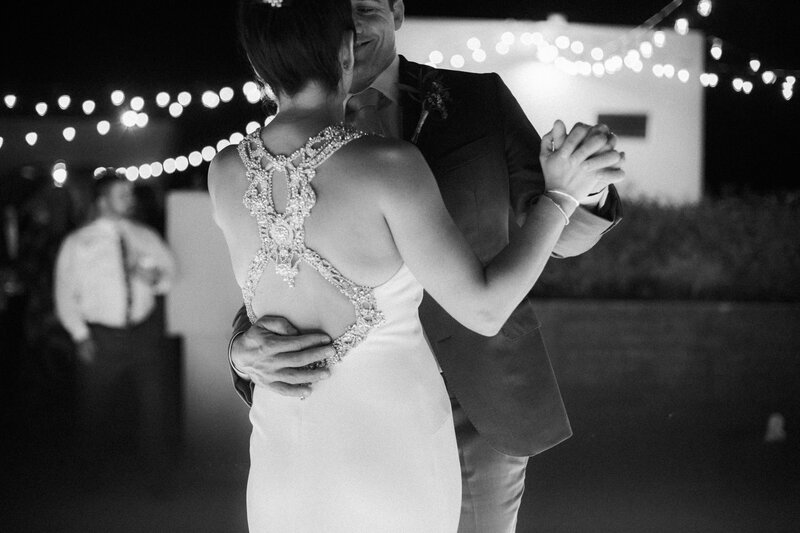 The elation that comes with celebrating the love of two people you truly care about is always intoxicating. 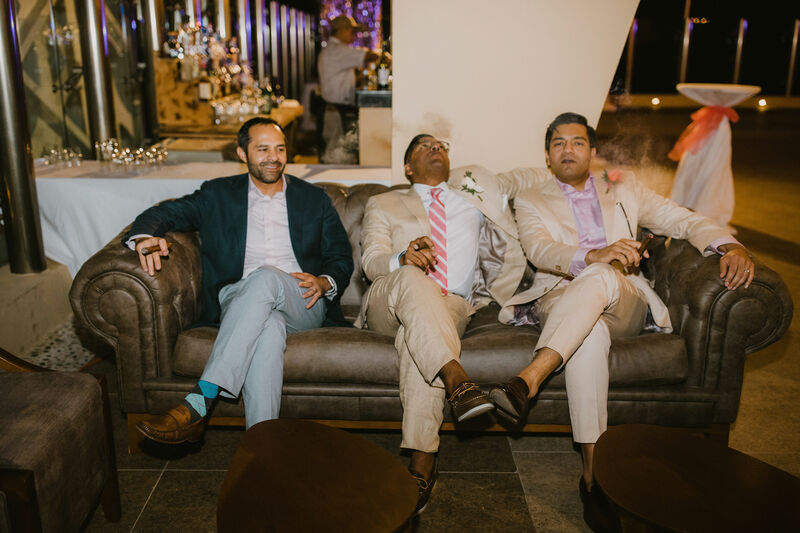 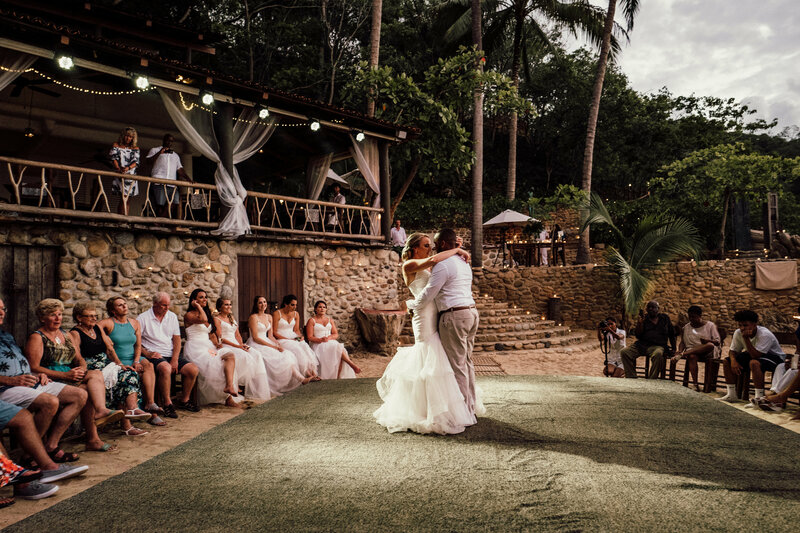 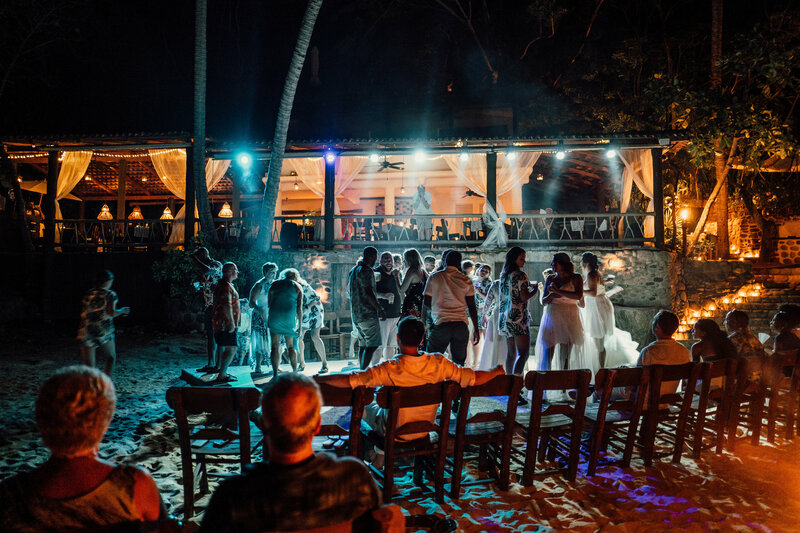 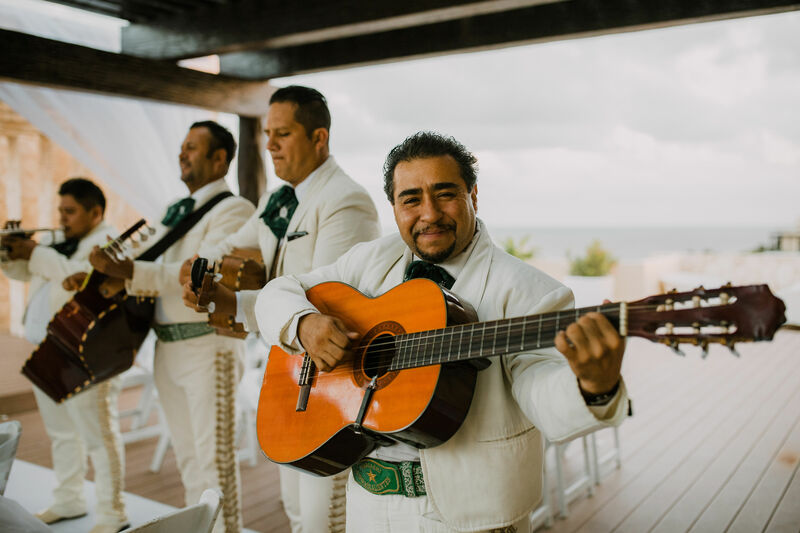 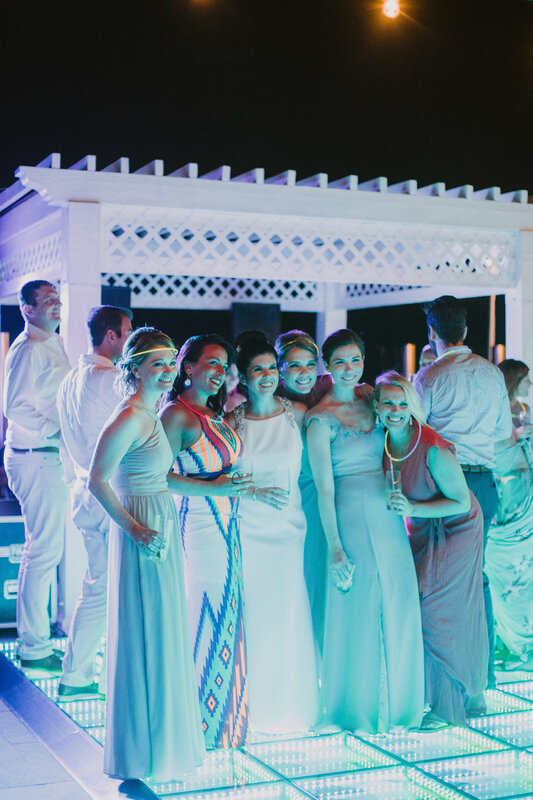 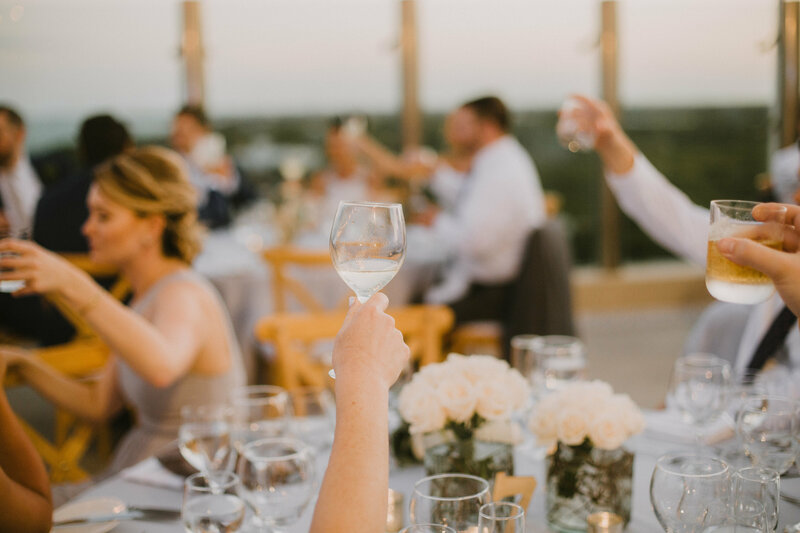 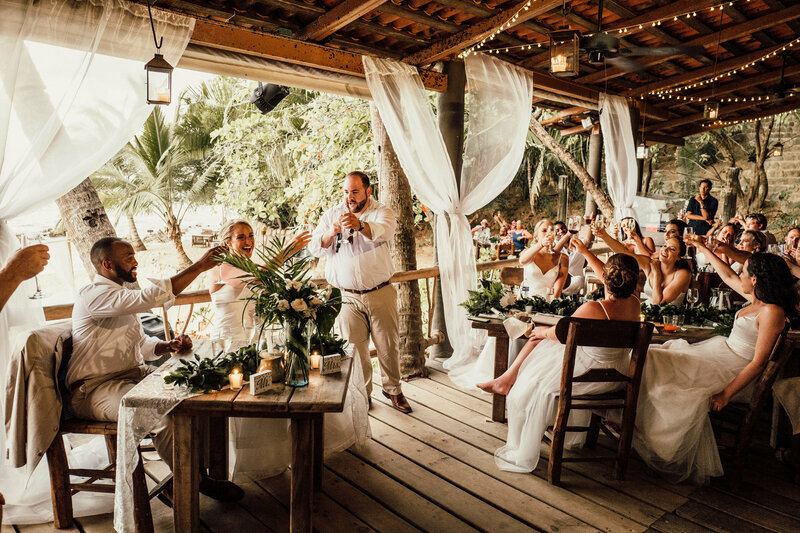 As destination wedding planners, the reception is our favorite part of a wedding, both in how much fun they are and how amazingly you can dress the venue for an absolutely unforgettable evening. 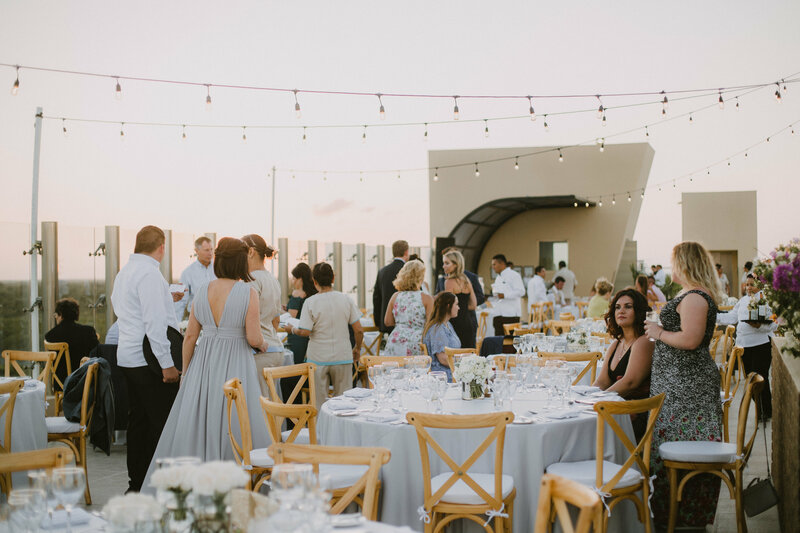 As we took a look at our weddings in 2018, we noticed how beautiful any destination wedding venue can look. 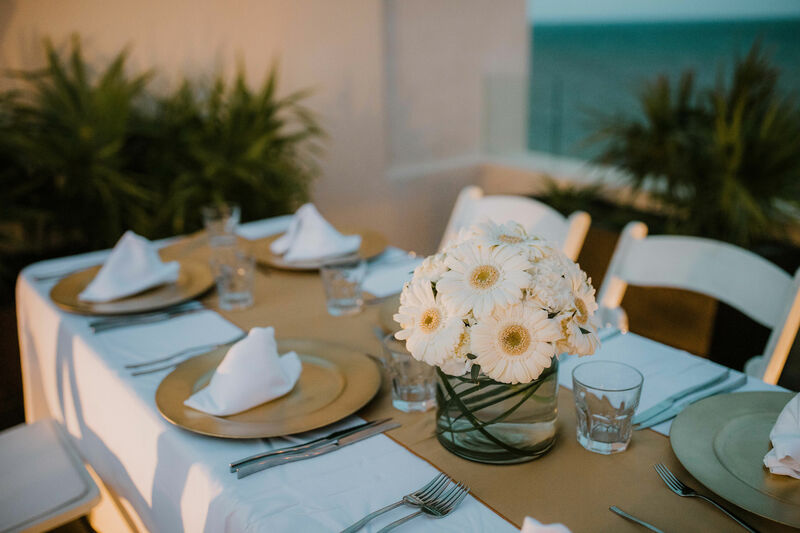 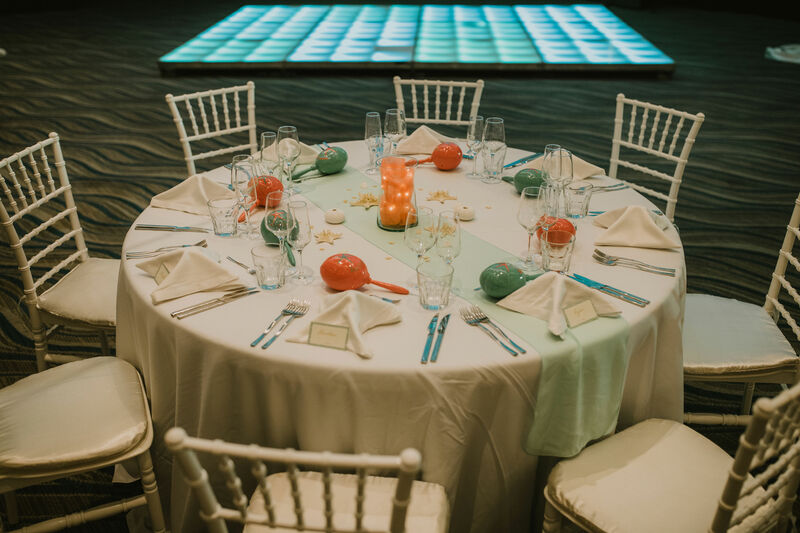 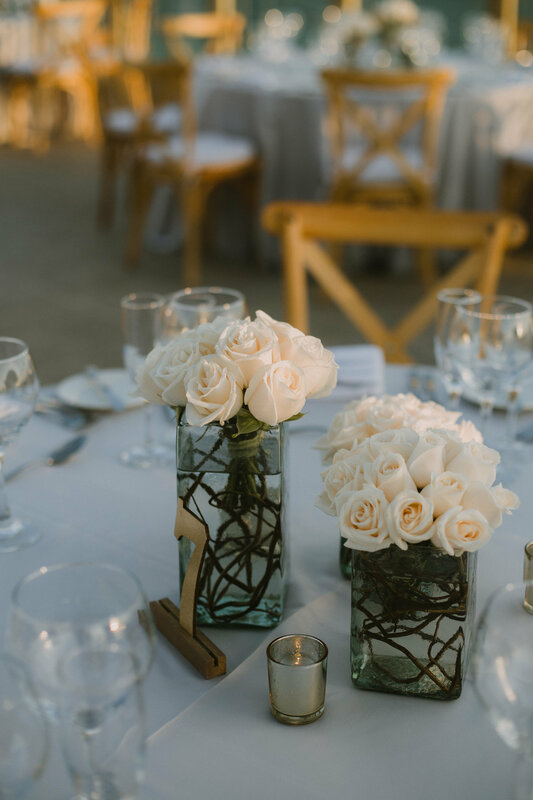 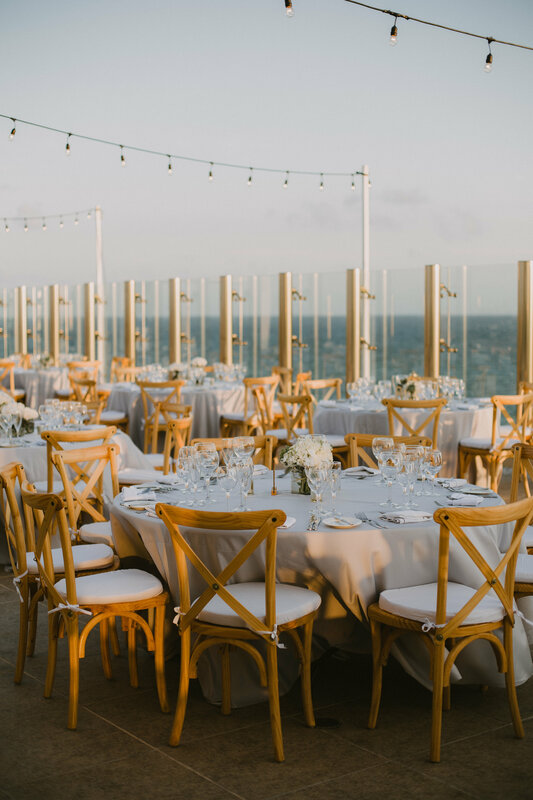 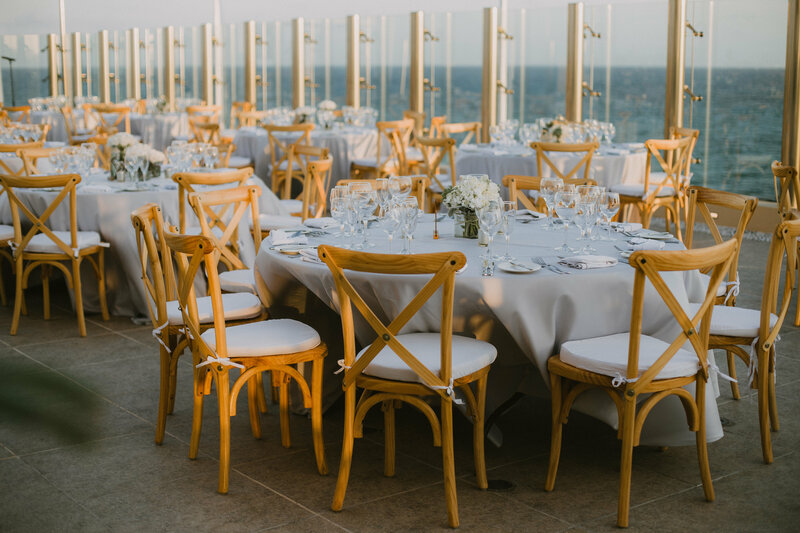 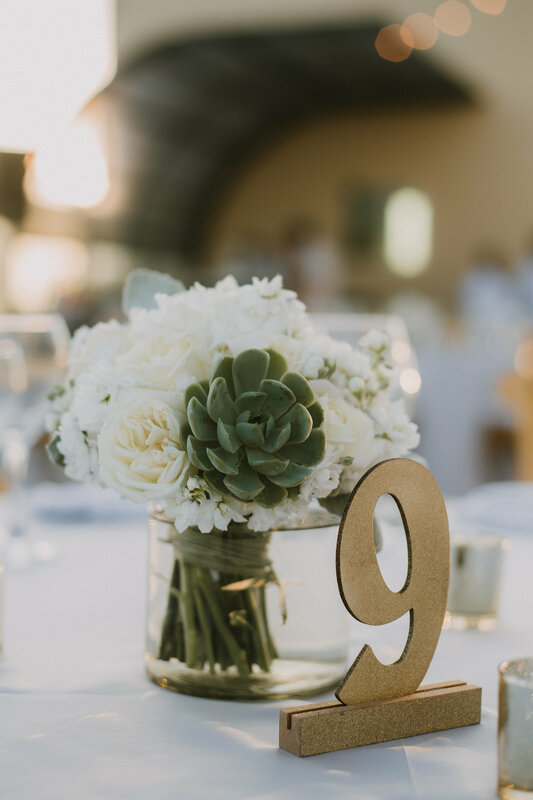 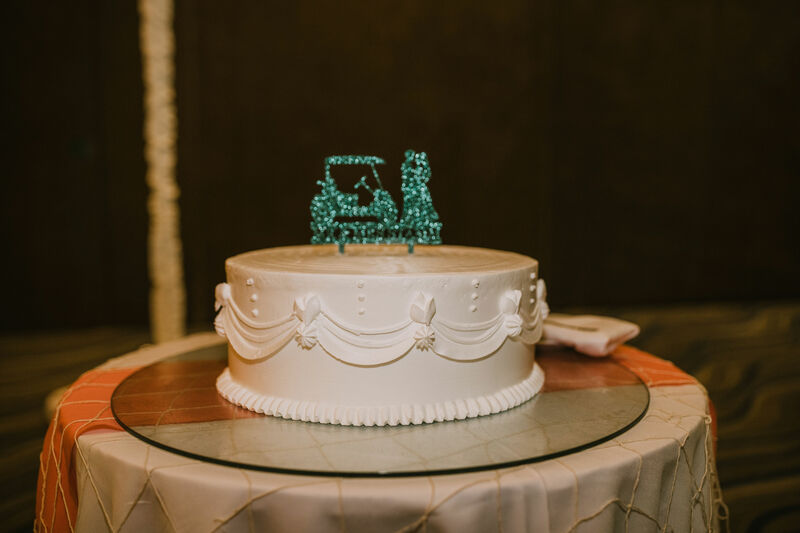 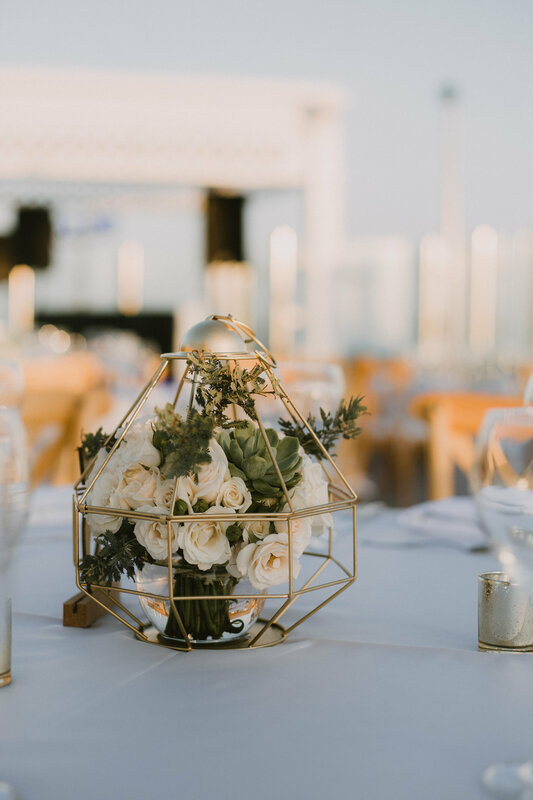 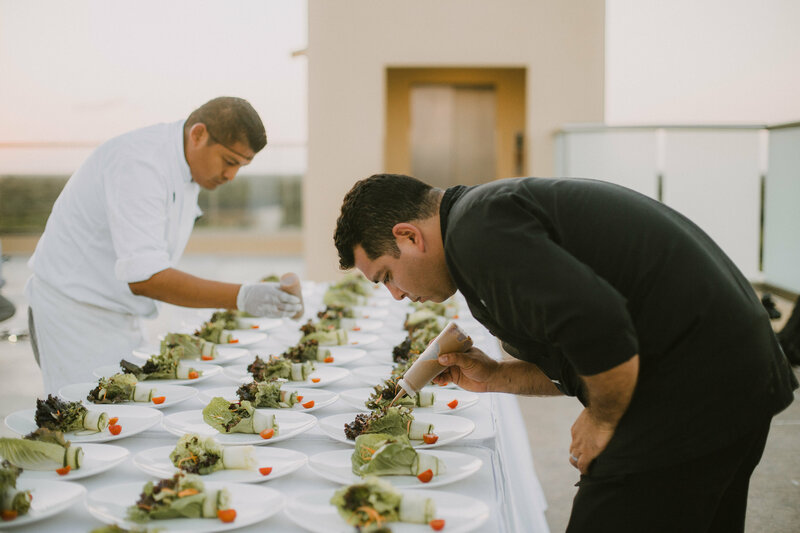 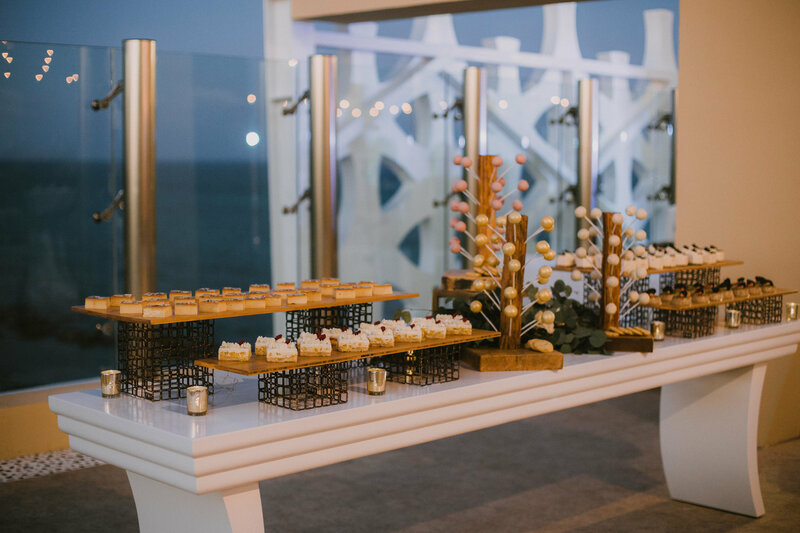 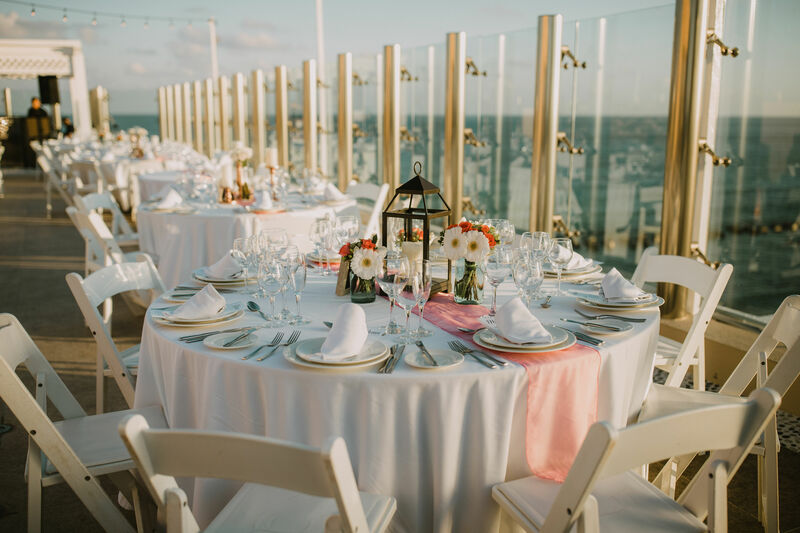 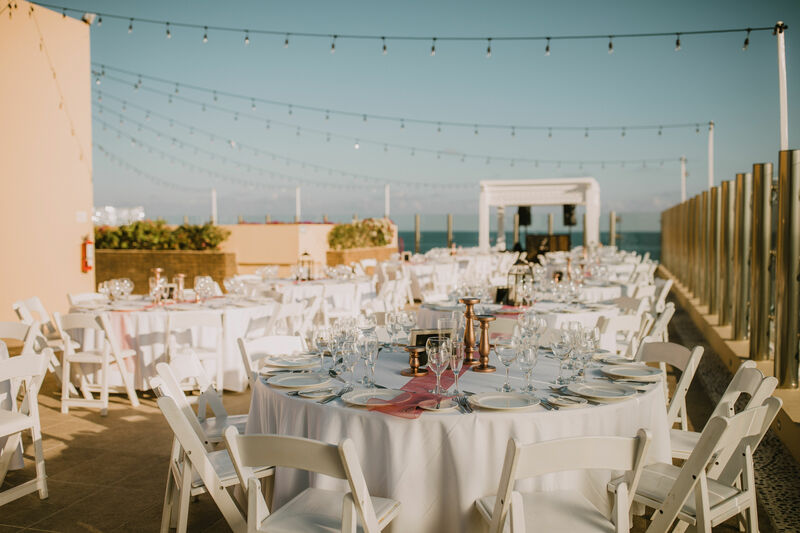 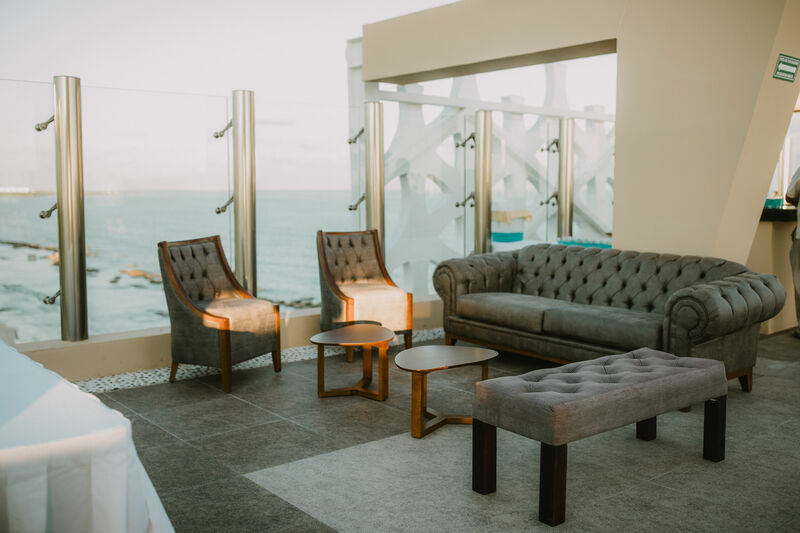 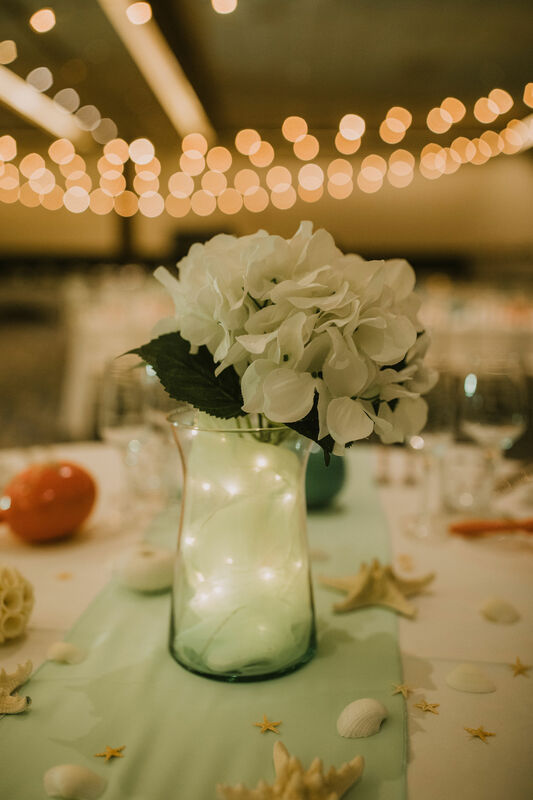 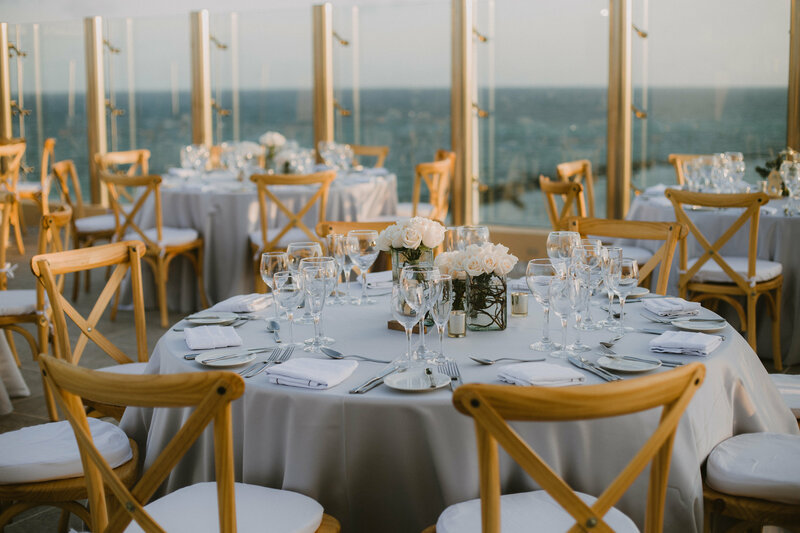 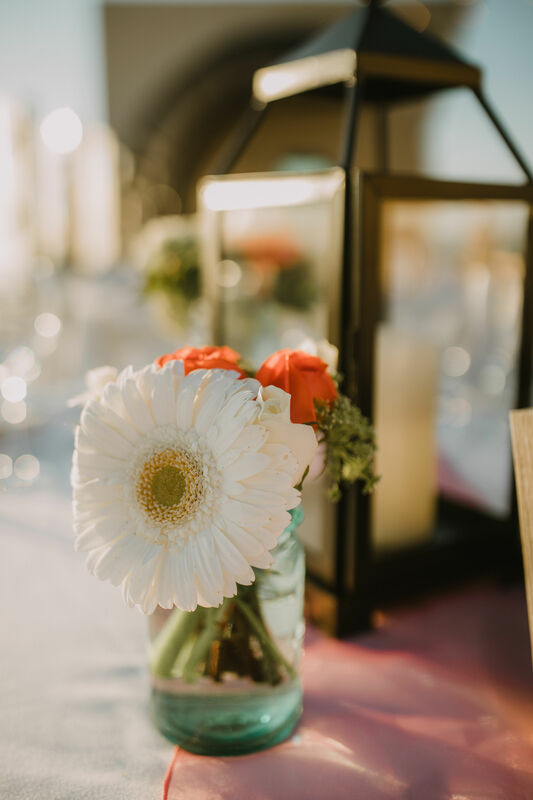 Whether on the beach, atop a sky terrace, in a grand ballroom, or anywhere else, we couldn’t help but gawk at the reception setups and how pretty they looked. 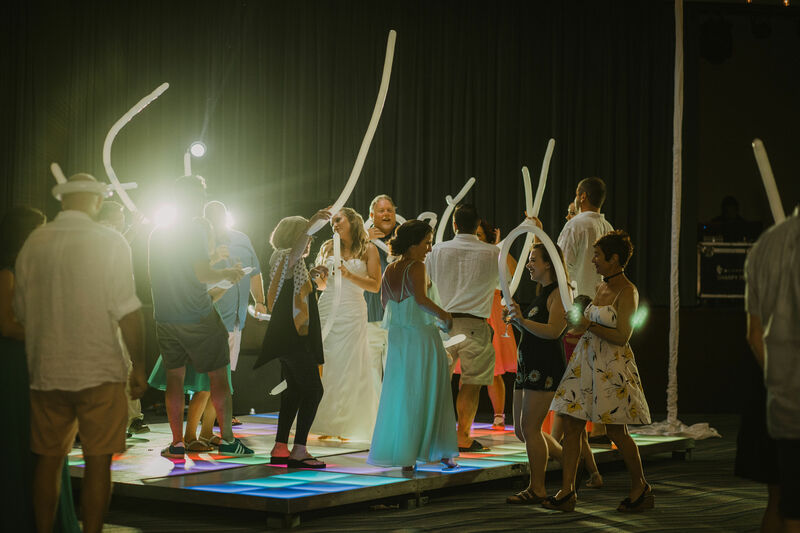 Plus the happy faces of our wedding couples and their guests gave us the serious warm and fuzzies. 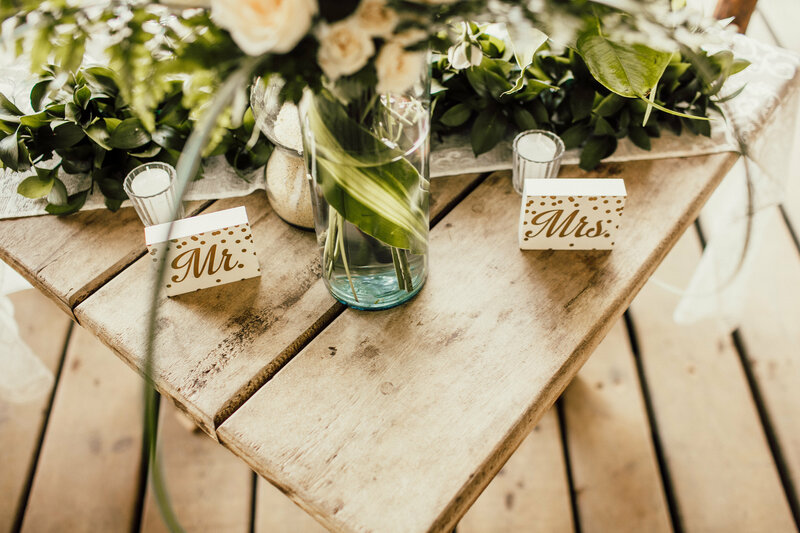 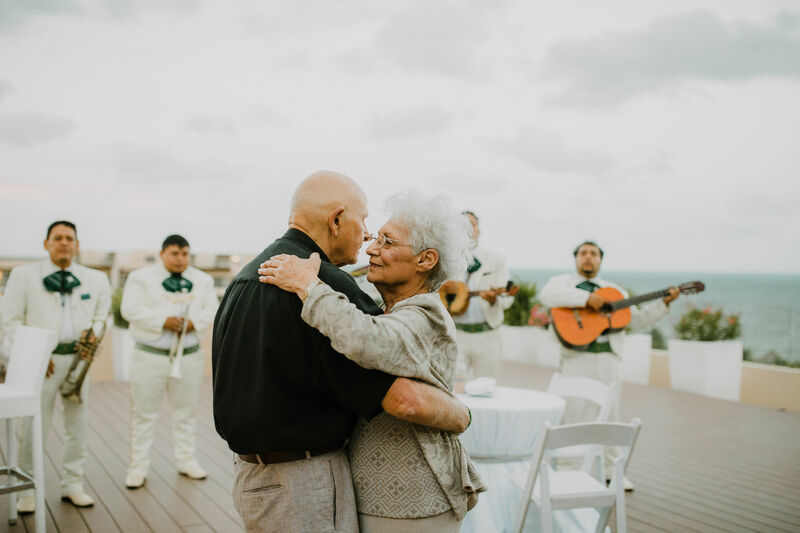 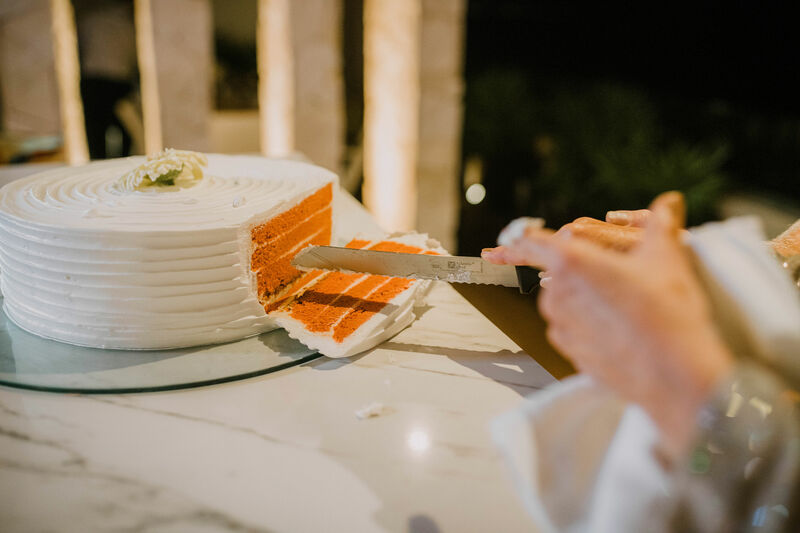 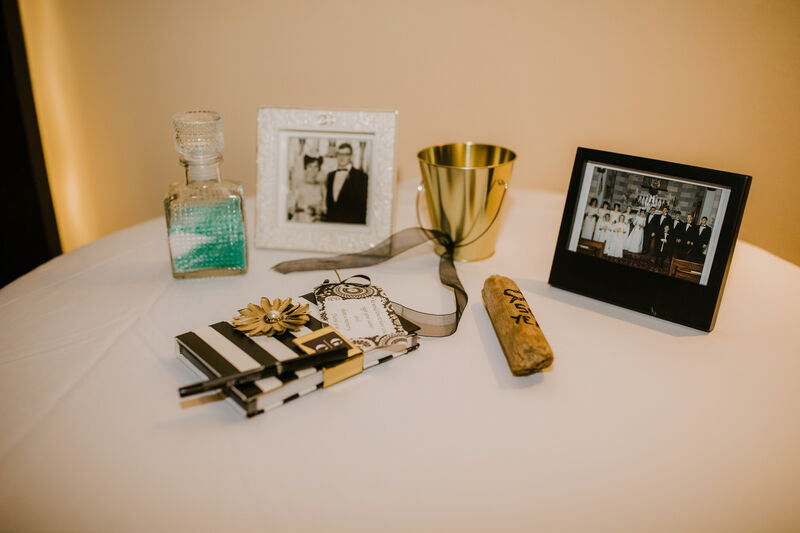 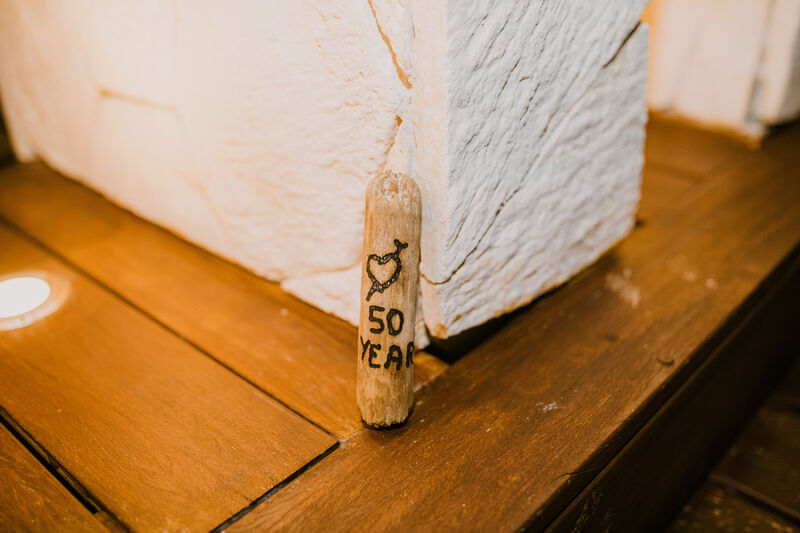 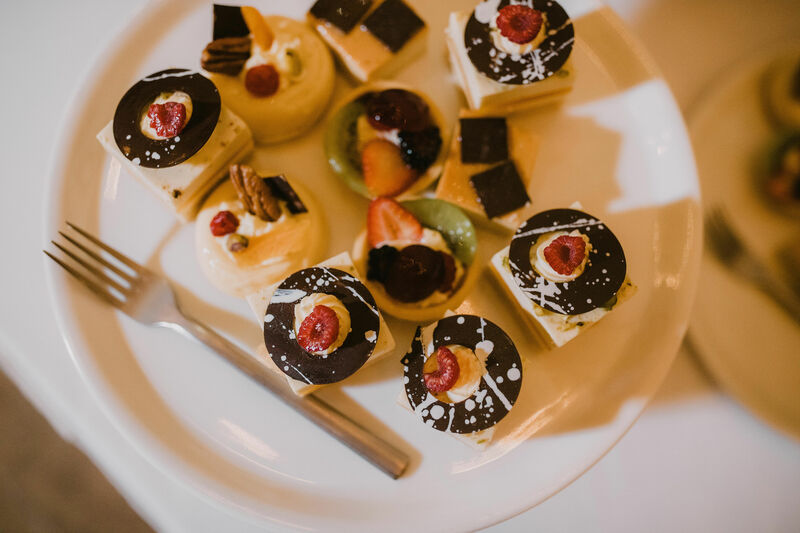 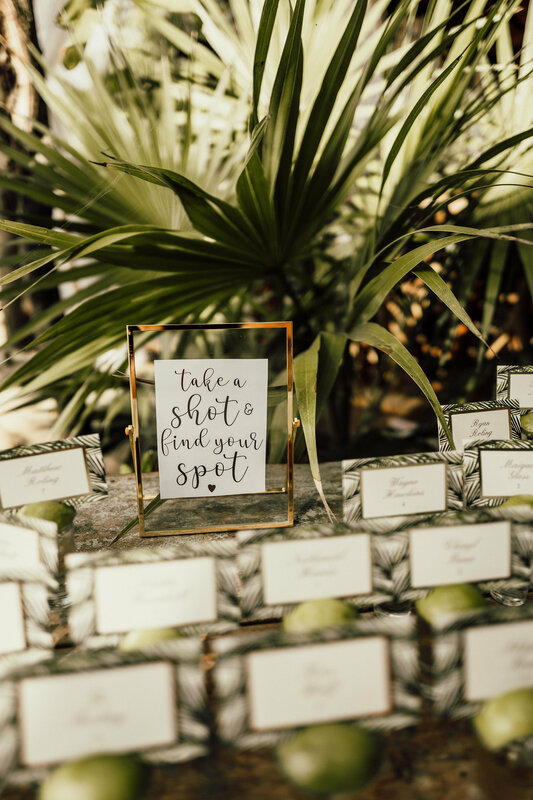 While all were gorgeous, the following weddings had exceptional style and plenty of detail shots to perfectly show off the couples’ excellent wedding vision and our concierges’ event planning skills. 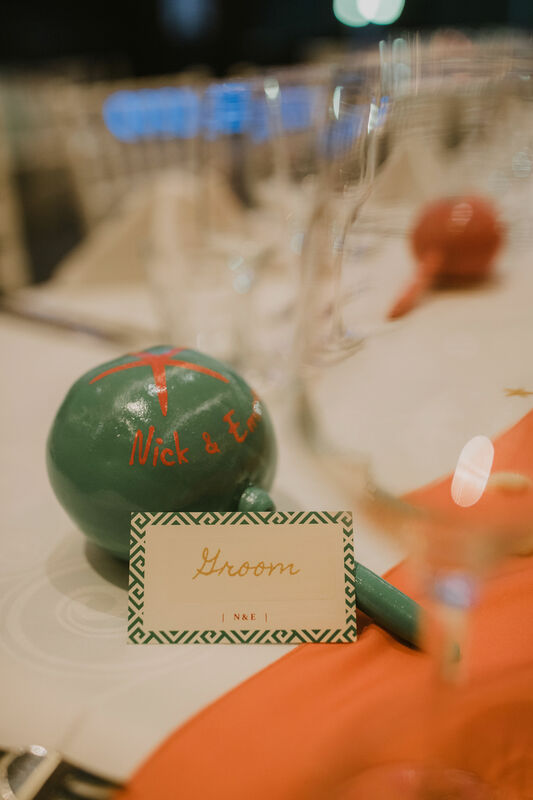 We also loved the unique party add-ons these receptions had that made them stand out even more. 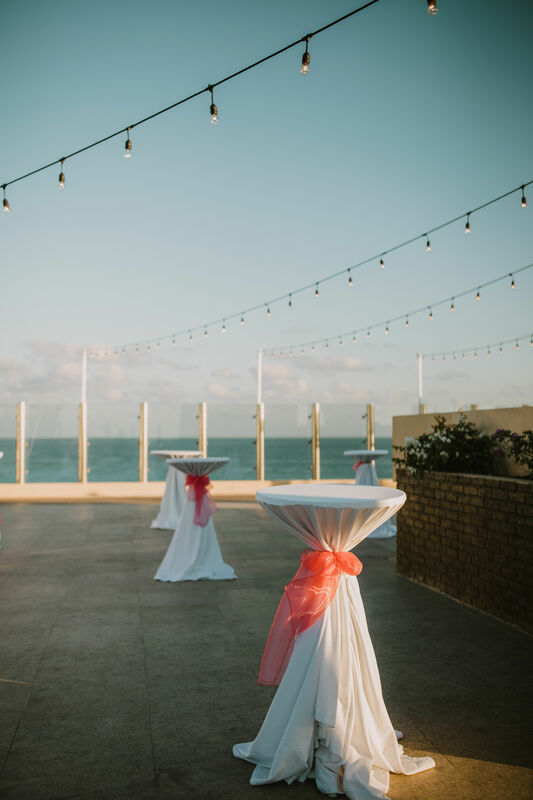 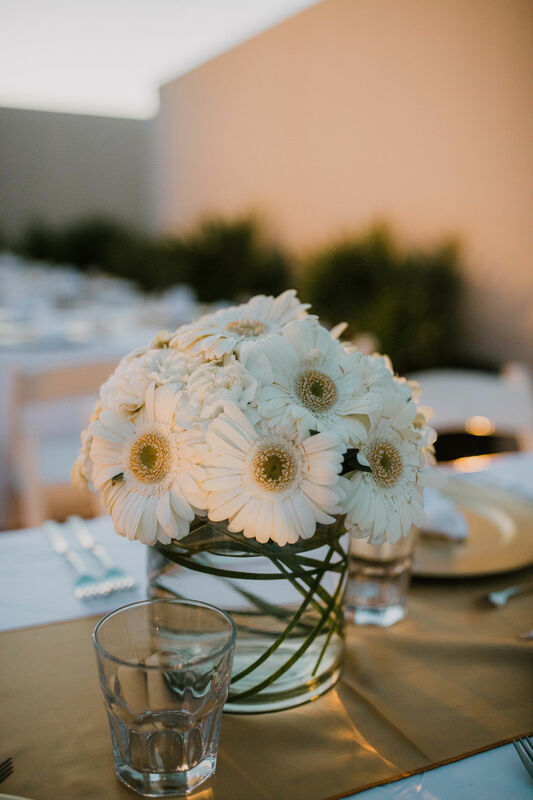 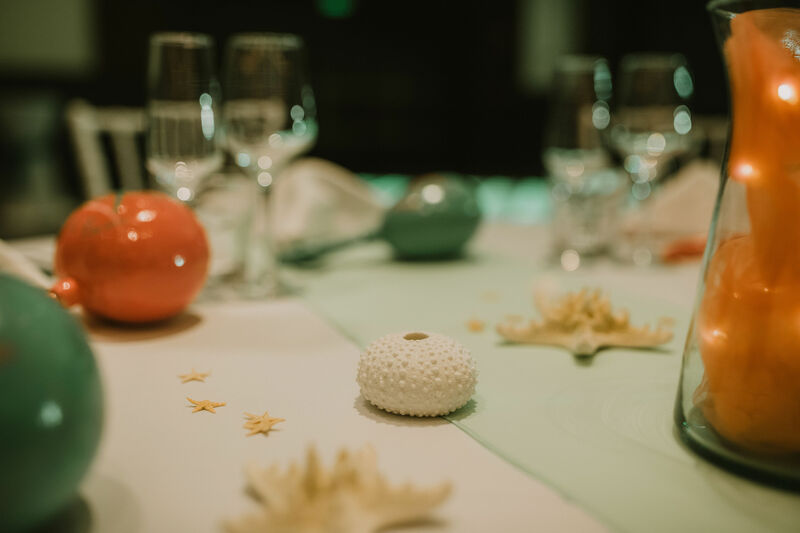 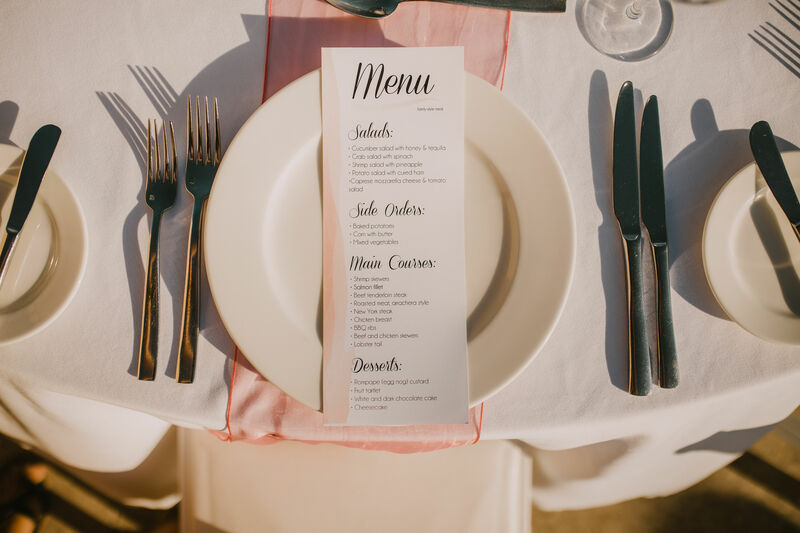 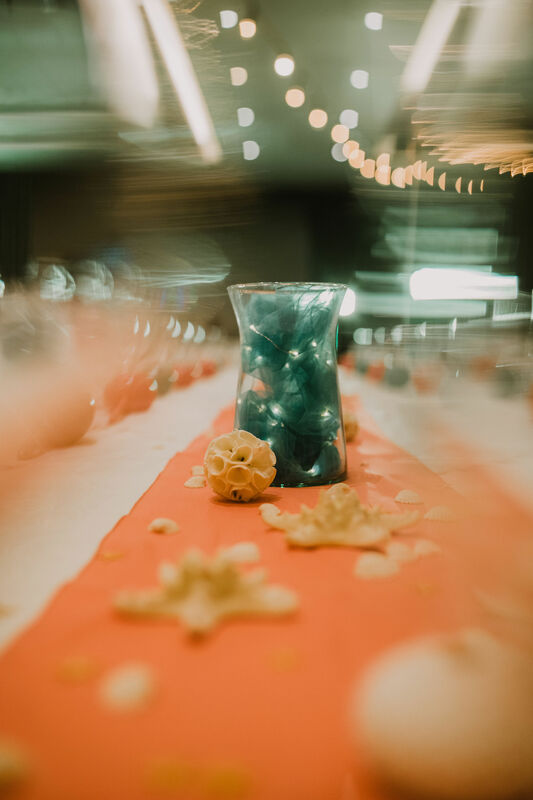 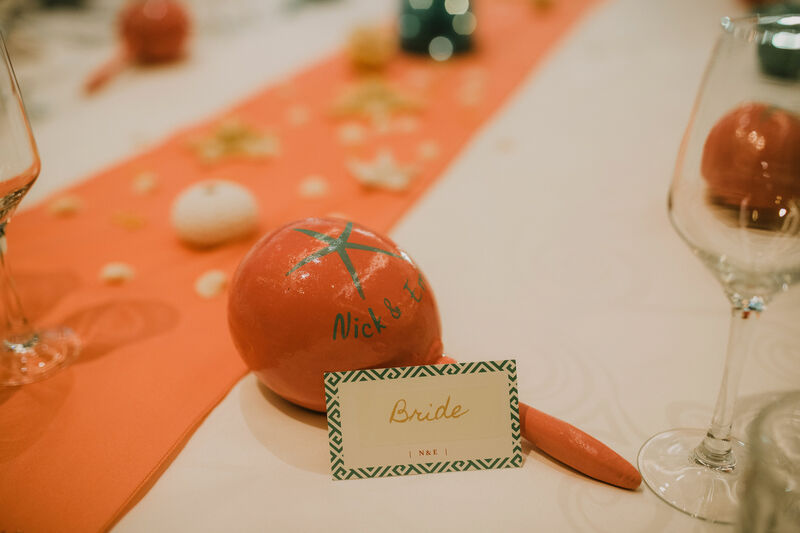 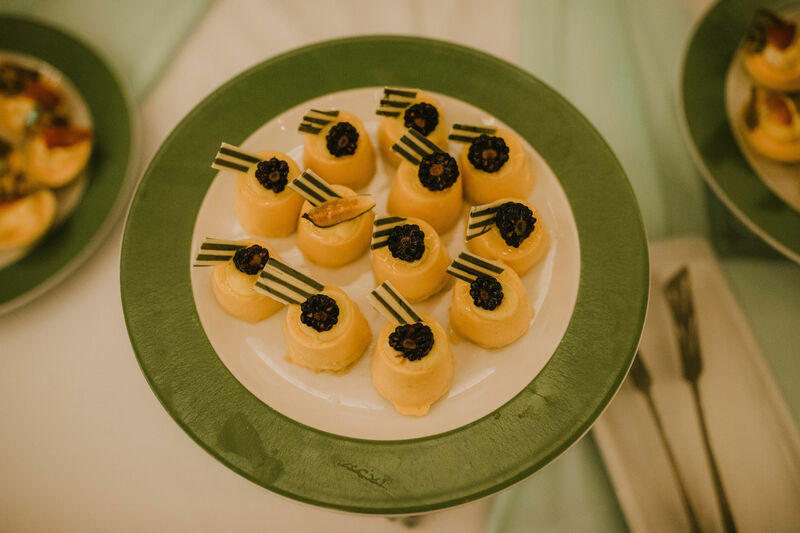 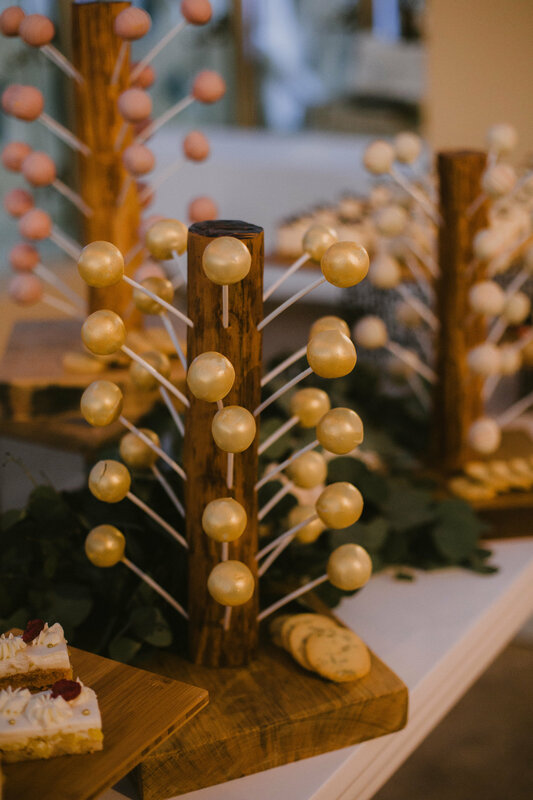 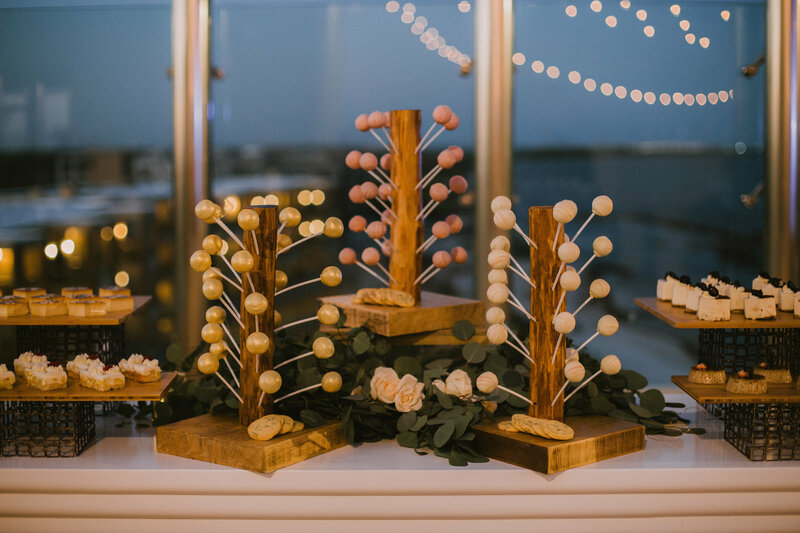 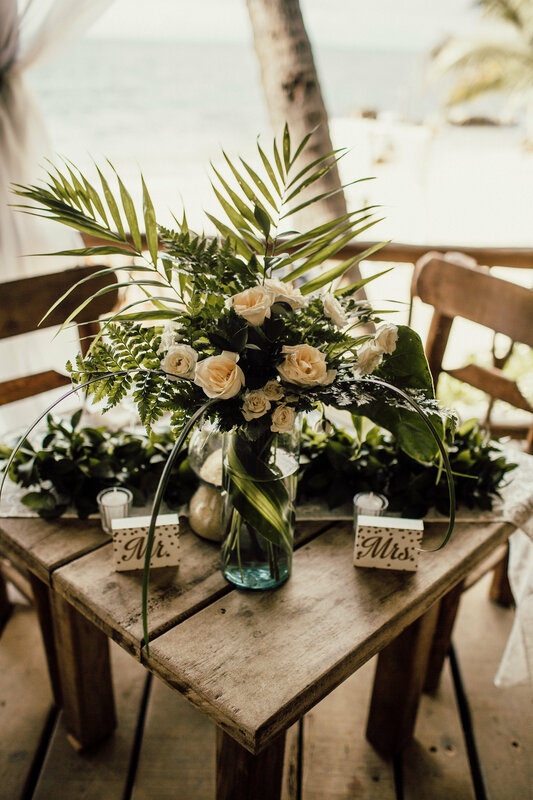 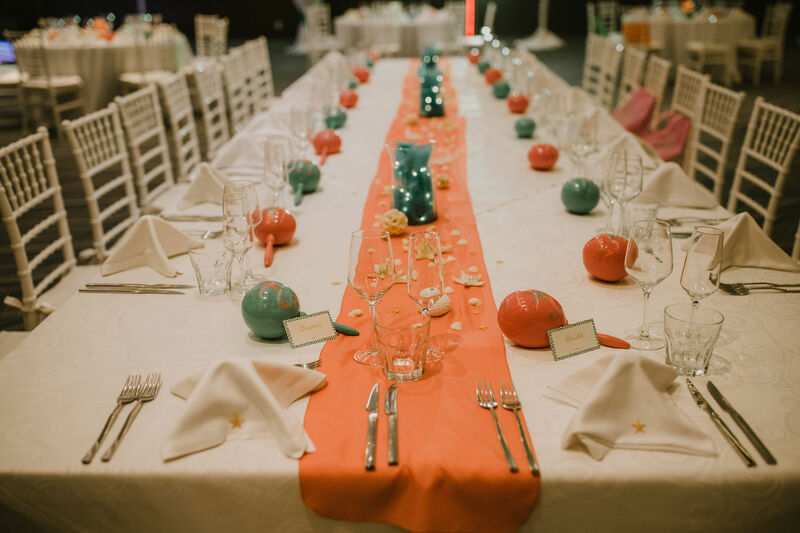 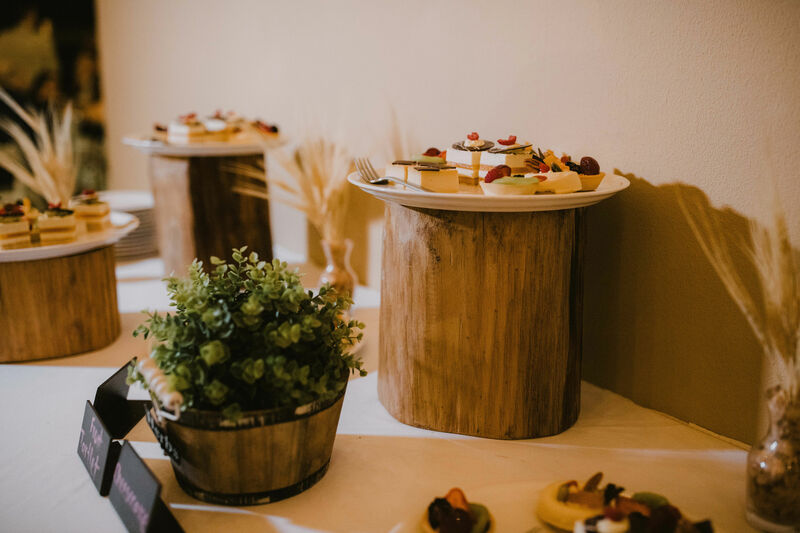 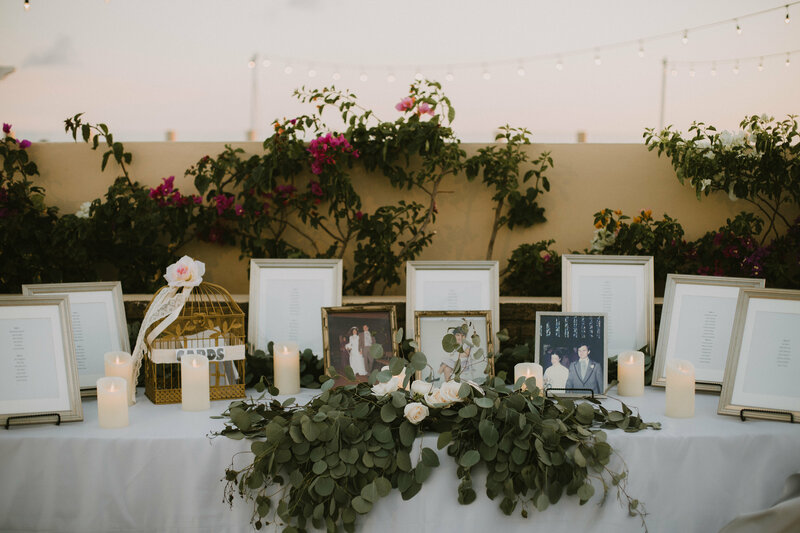 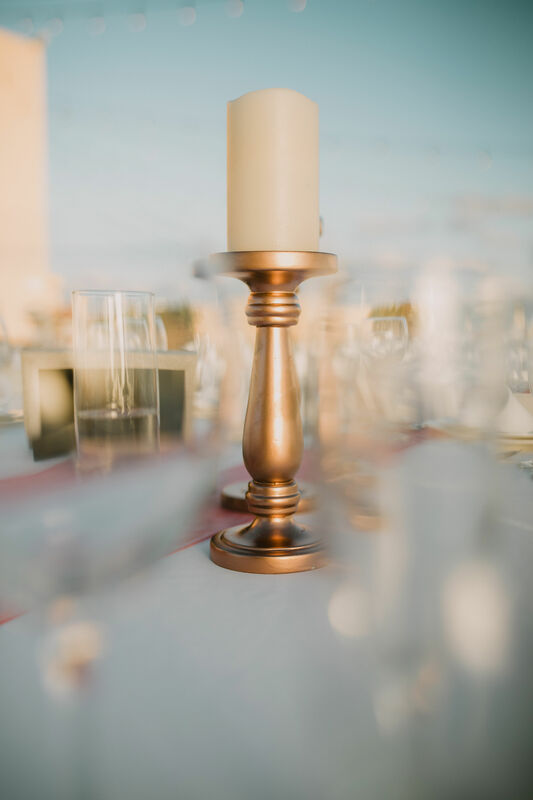 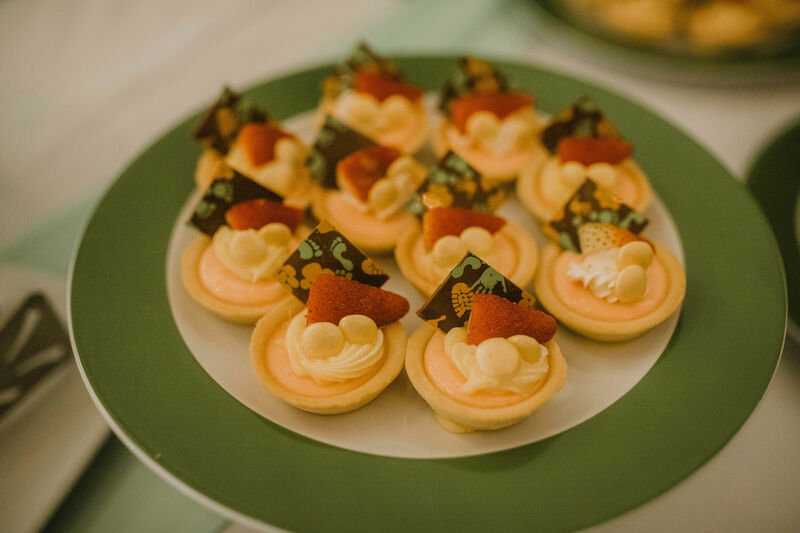 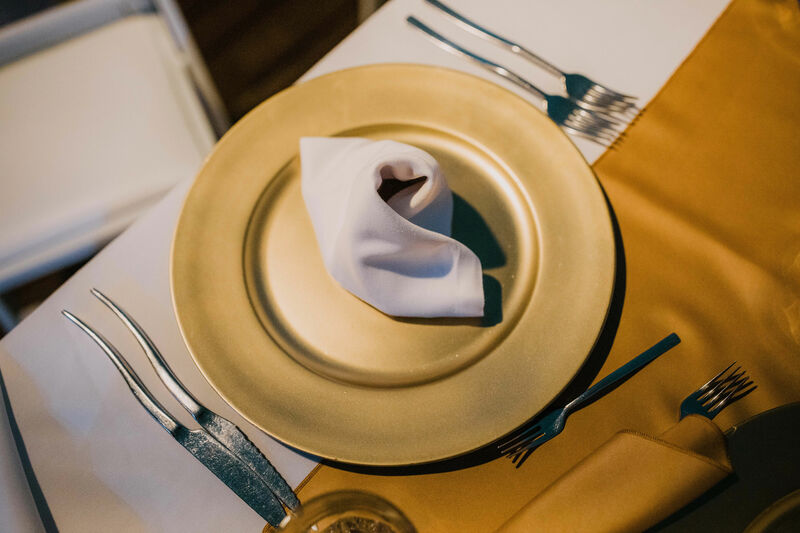 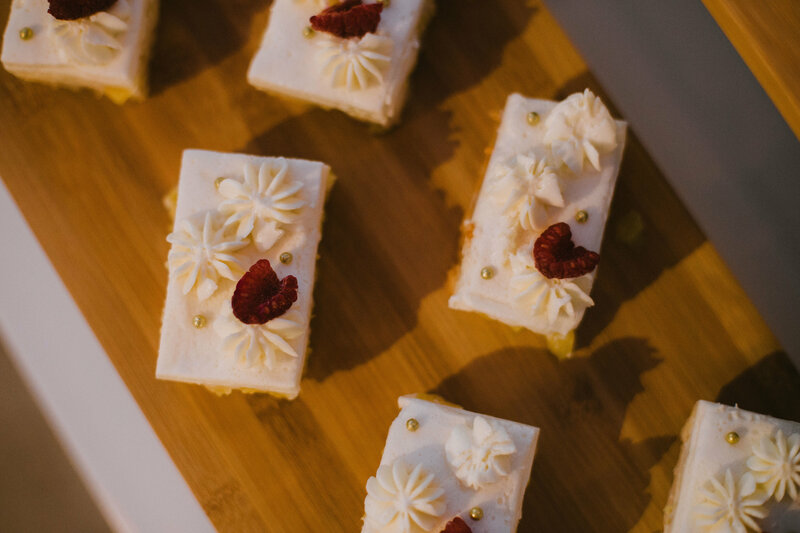 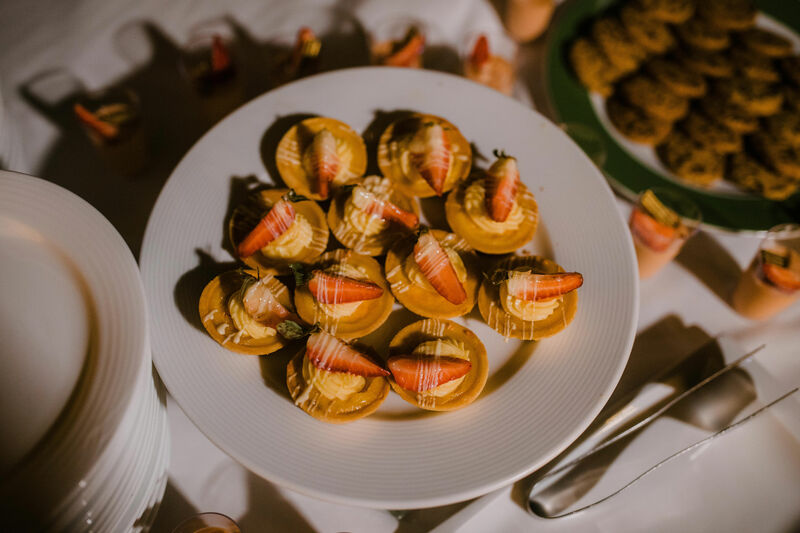 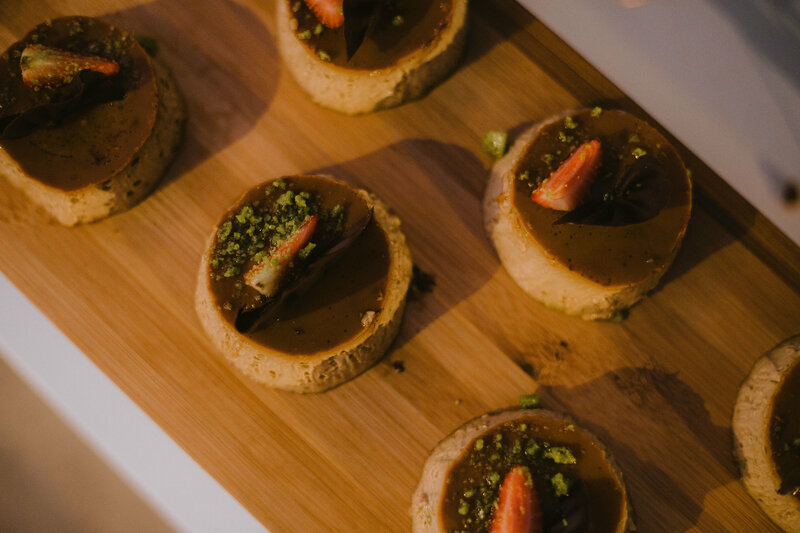 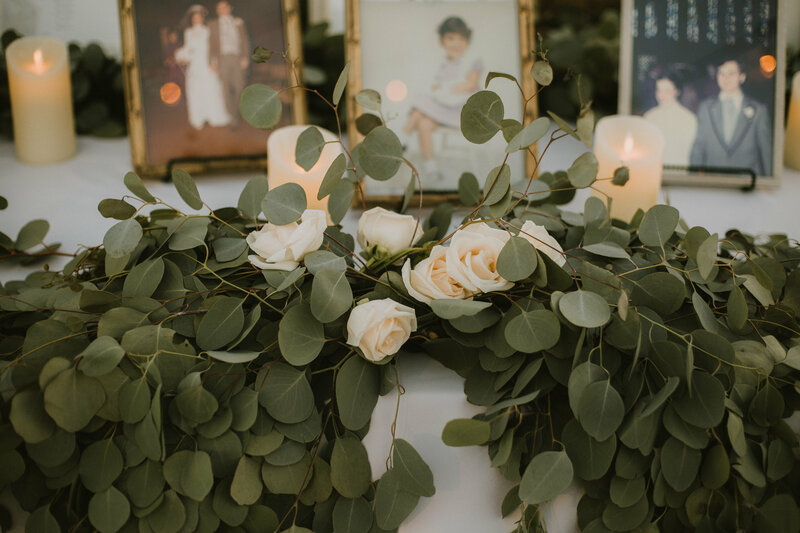 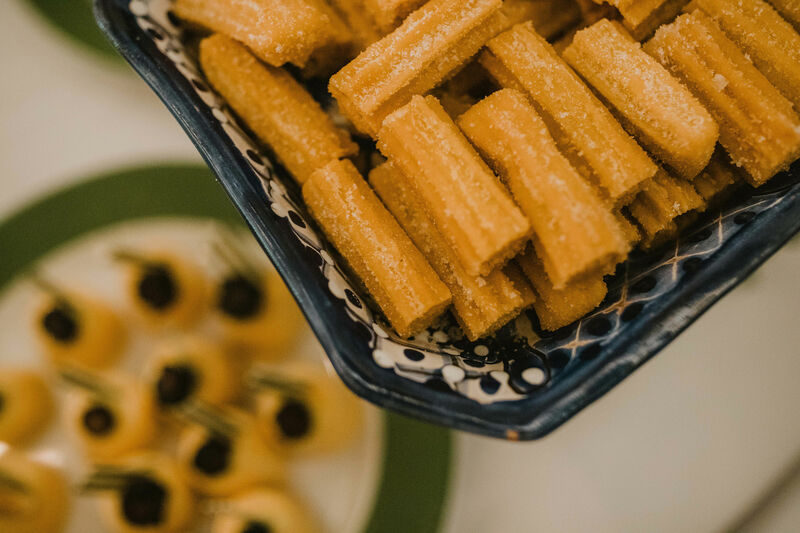 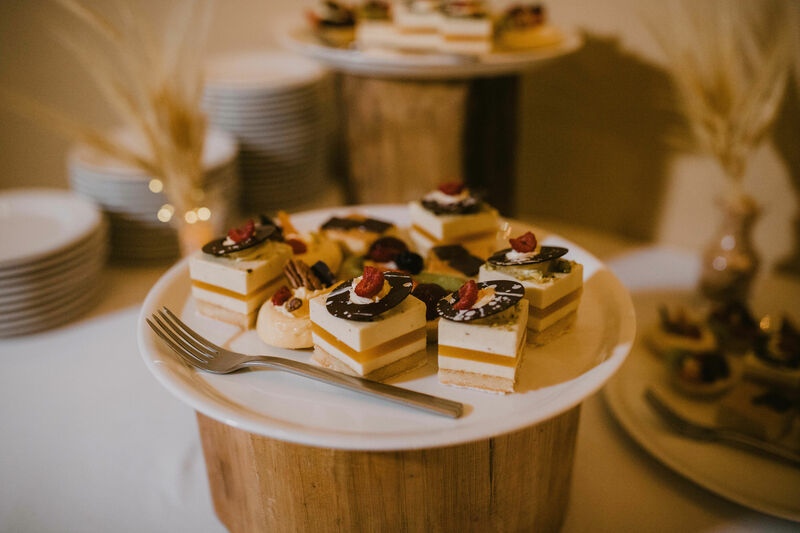 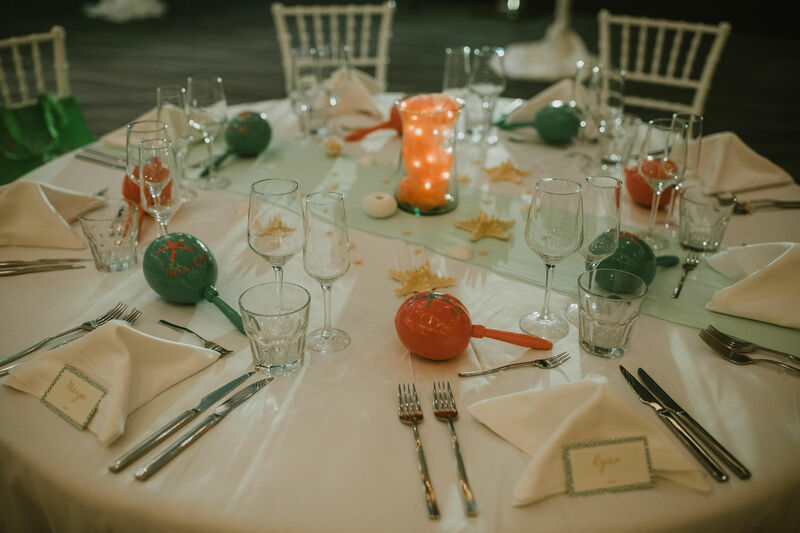 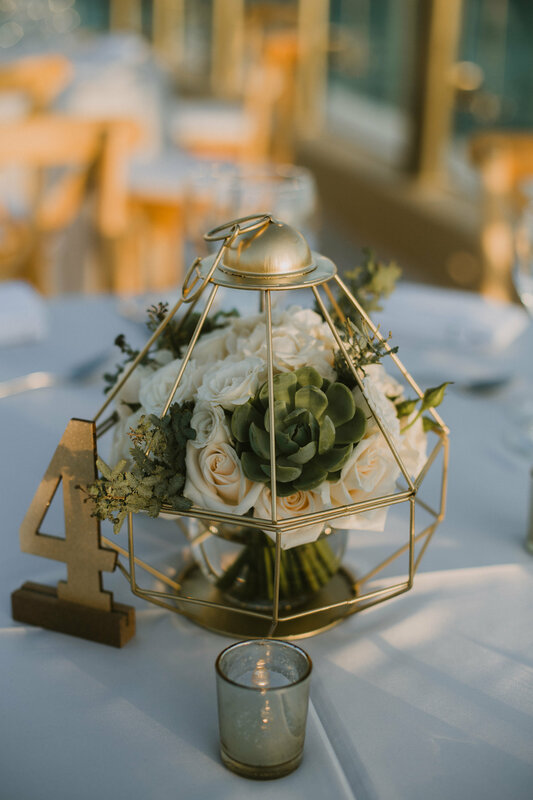 We can’t wait to see what trends will be popular for 2019 destination wedding receptions! 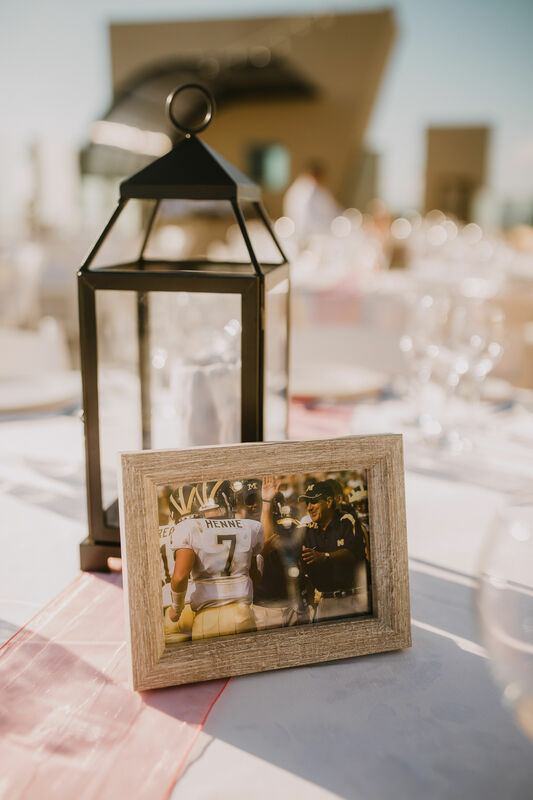 Sarah and Mort used players from their favorite teams as their table numbers. 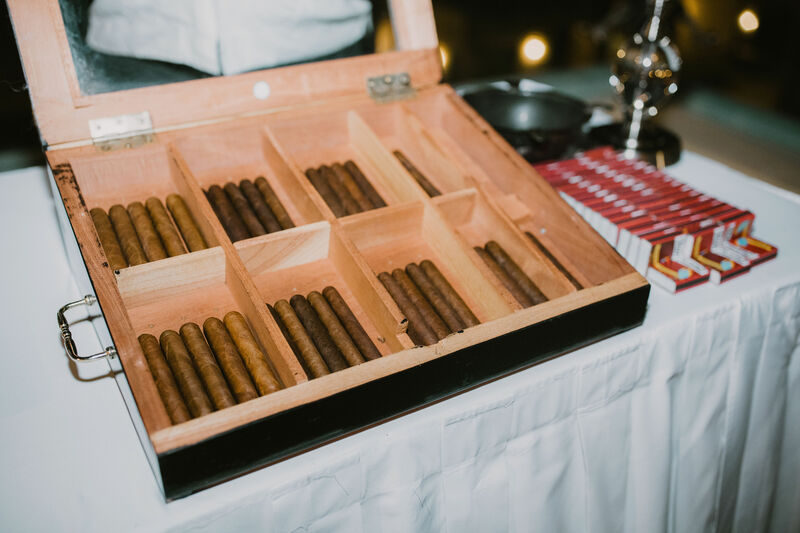 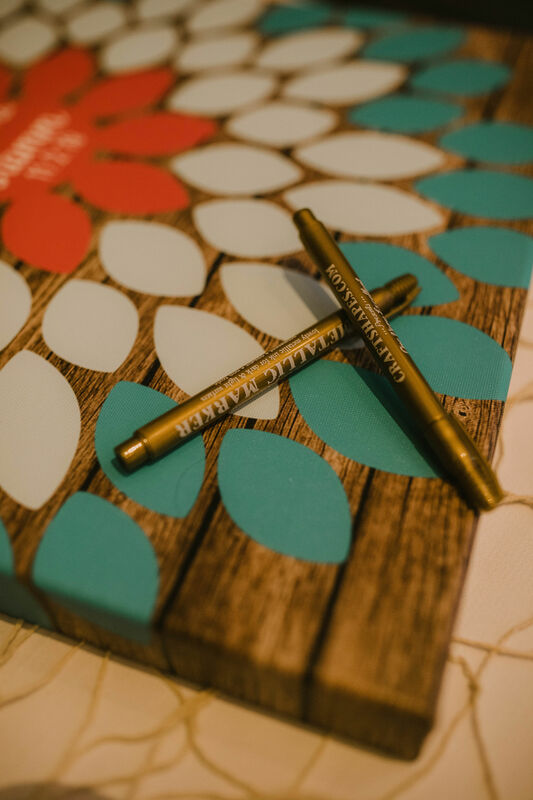 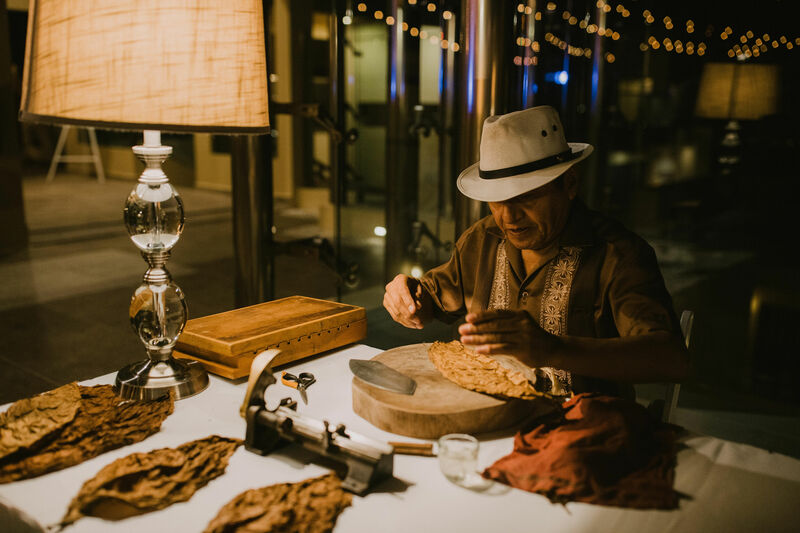 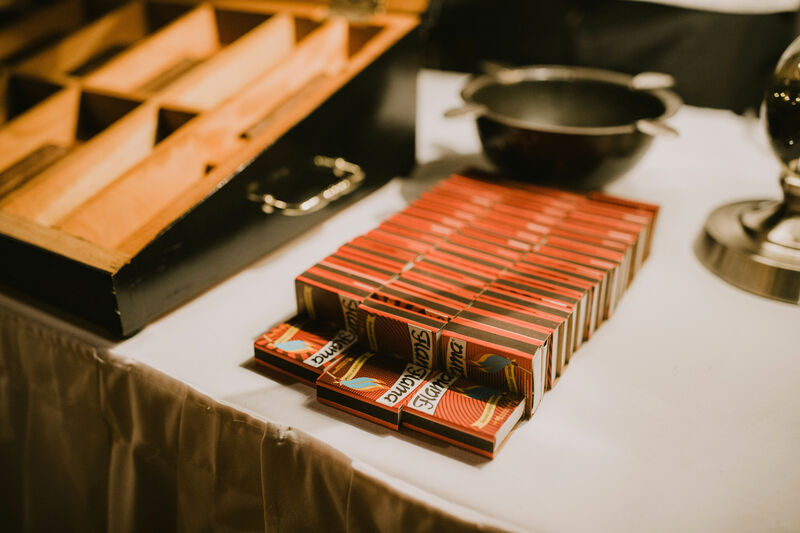 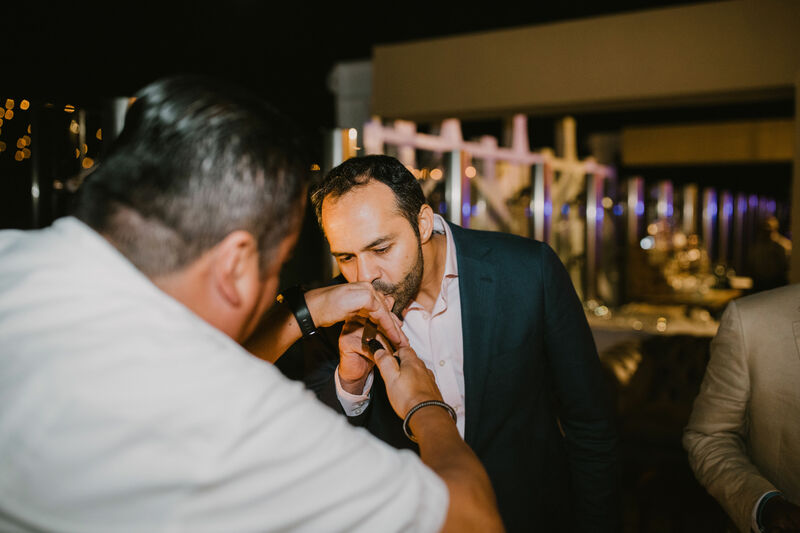 Sarah and Mort hired professional cigar roller for their reception. 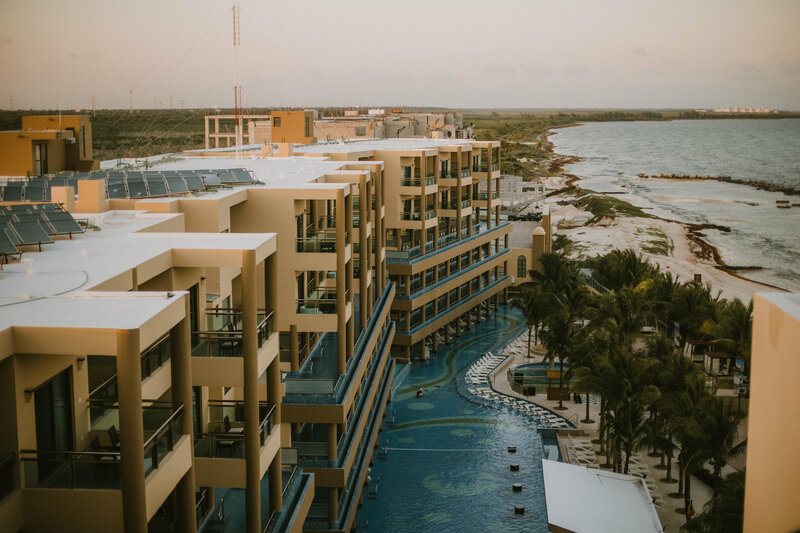 The views from the Sky Terrace at Royalton Riviera Cancun. 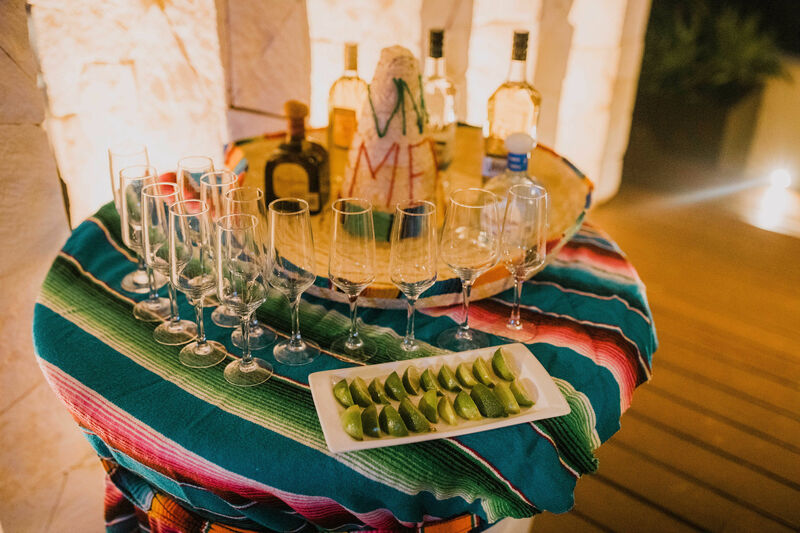 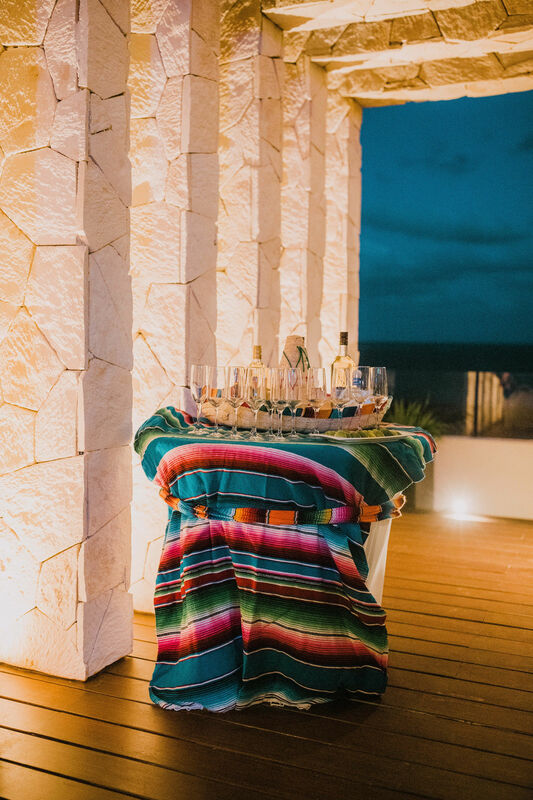 Carol and Gary had a tequila tasting set up at their vow renewal reception. 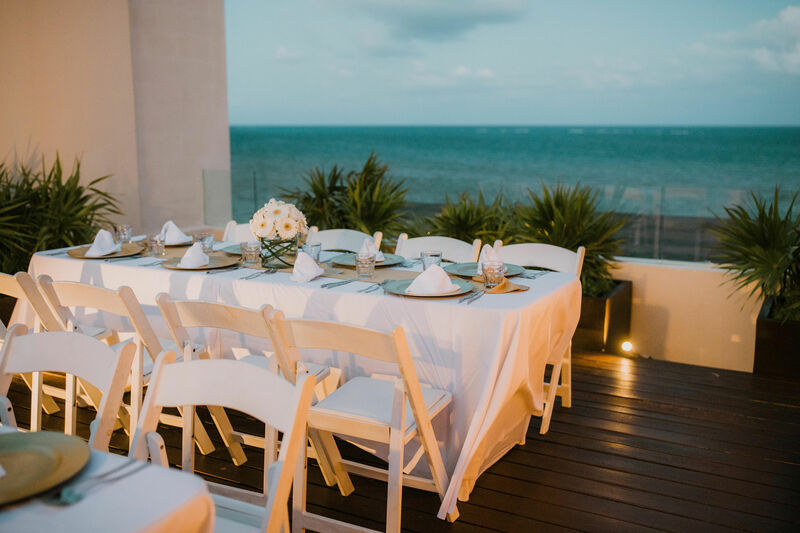 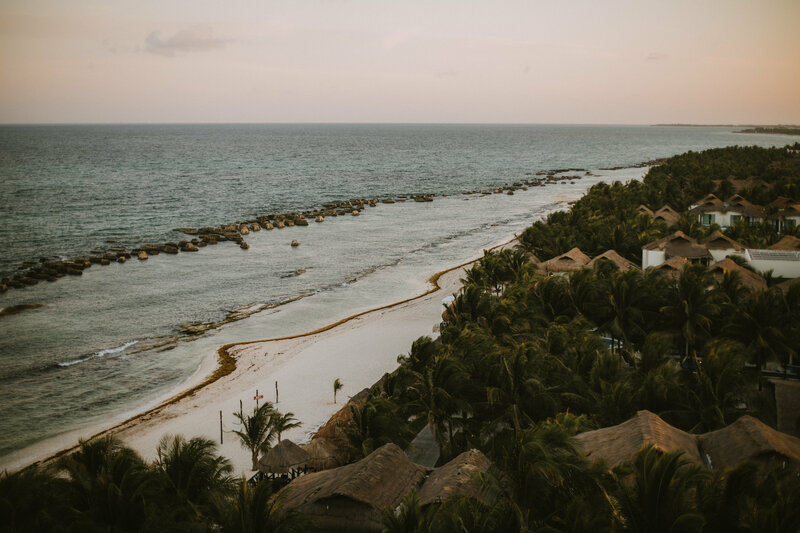 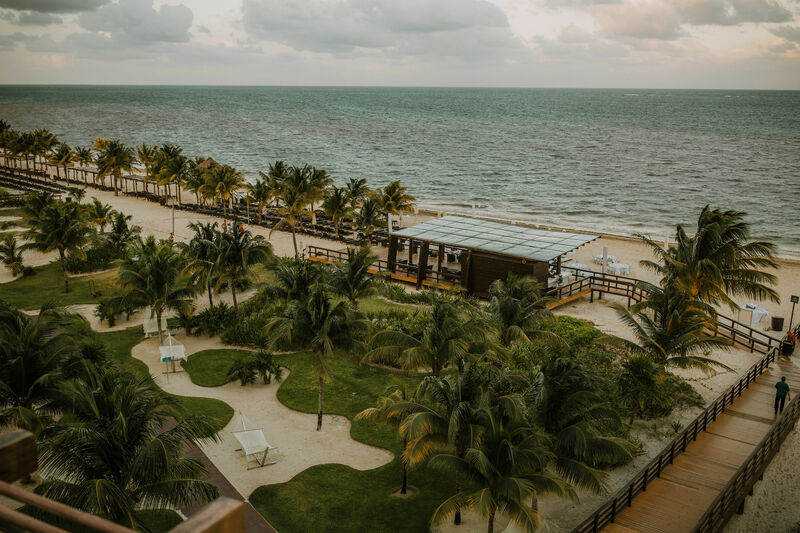 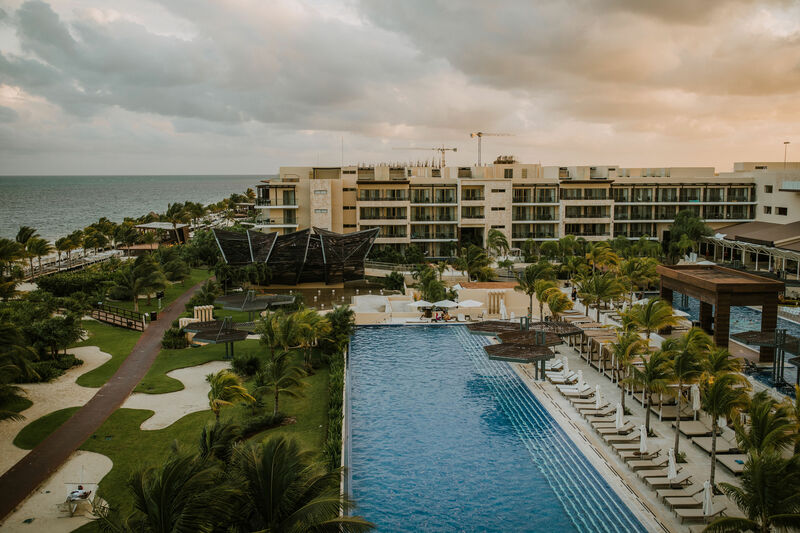 The views from the Sky Wedding Terrace at Generations Riviera Maya.